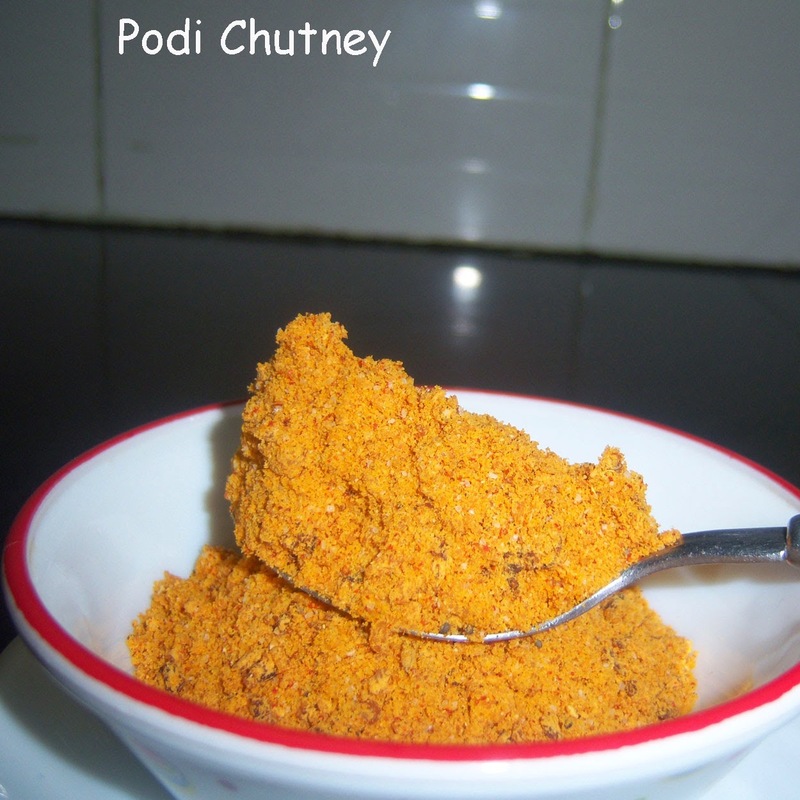 Kids make fun of me for the name of this dish as it is powder but it is called Podi Chutney. Podi means powder, but chutney is a thick and paste like consistency. 'How can one call it with both names?' is question posed by kids. It is a powder with little sweet and tangy flavor. All the members in the family especially kids love it very much.My mother is an expert in making it. 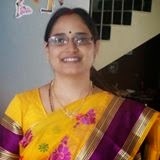 My mom taught me a procedure and I am following it till date. I don't know what happens if we change the procedure. It takes a little longer time to make it, but very interesting. Grate dry coconut. Make 1 cup of it. Cut or scrape jaggery. Make 1 cup of it. Make small pieces of tamarind strips. Make 1/2 cup of it. Dry roast black gram till it turns into light brown color. Keep it a side. Roast bengal gram till light brown shade and keep it aside. Roast red chillies, tamarind, dry coconut separately. keep them aside separately. Grind black gram and bengal gram to fine powder. Take small portion of it add dry coconut and again grind it. Mix it with the above grounded grams powder. Again take small portion of it and add red chillies to it and grind it. Mix it with the rest of the above powder. Take small portion of it and add tamarind and grind it. Mix it with rest of the powder. Take small portion from it and add jaggery and grind it. Mix it with the rest of the powder. Mix well. Add salt to it. Heat ghee or oil in a kadai, add mustard seeds, cumin seeds and red chillies. Once they start splutter add it to the above powder and mix well. 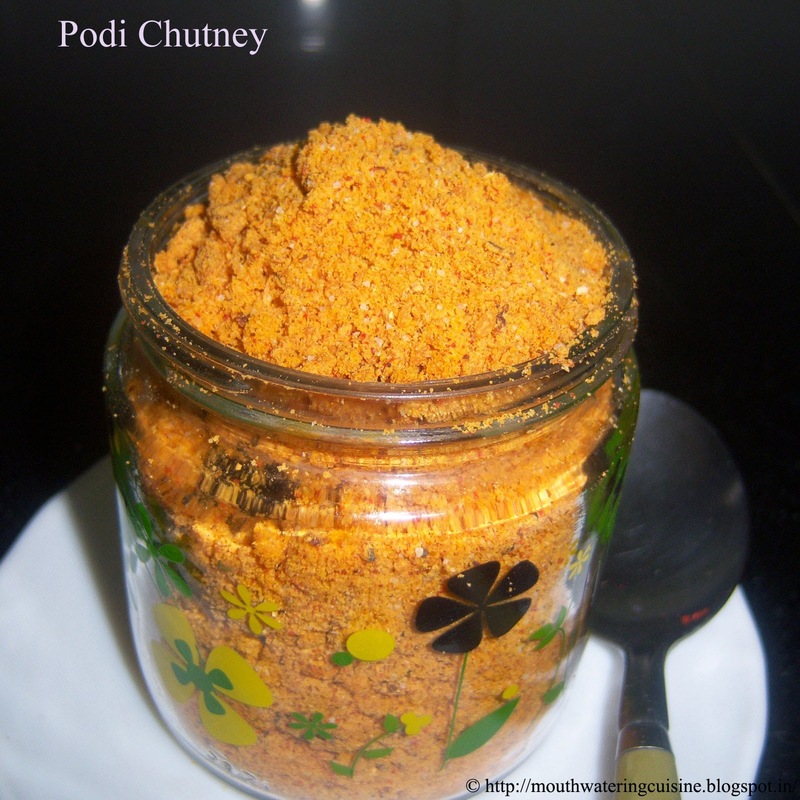 Serve podi chutney along with ghee with rice, idli, dosa.